For a while, it had been assumed that the sequel to the Huawei Ascend P1, aptly named the Huawei Ascend P2, would sport a 5 inch FHD screen. But you know what they say about making assumptions. Anyway, it turns out that Huawei mobile head Richard Yu sent out a message on Sina Weibo (the Chinese Twitter) about the device and as it turns out, the phone will be equipped with a 4.7 inch screen with 720p resolution. Why isn't Huawei going with a 5 inch FHD screen? We did just see HTC go from the 5 inch HTC DROID DNA/HTC Butterfly to the 4.7 inch HTC One. But in that case, the Taiwan based manufacturer kept the FHD display for an amazingly high pixel density of 468ppi. But Yu says that this is not necessary since the human eye cannot differentiate between a 720p panel and a 1080p screen on glass smaller than 5 inches. In addition, a higher-resolution screen would eat up more power, shortening battery life. 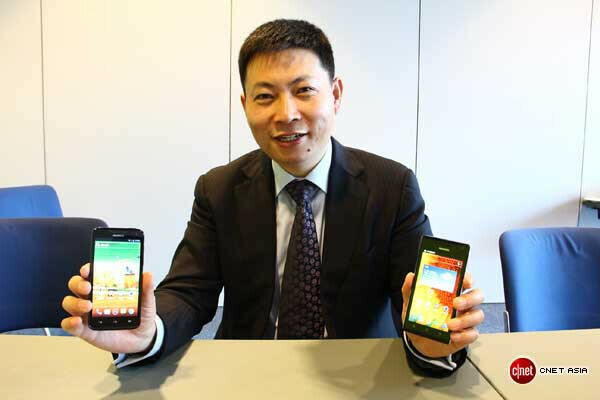 So the Huawei Ascend P2 will apparently come to market with a 4.7 inch 720p display. It will still be water and dustproof and the lower-res screen allows Huawei to more easily get the phone under 6.45mm in size. If using the smaller 720p screen means a thinner device with better battery life, it is a trade-off that Richard Yu felt that buyers would gladly make, especially if no one could really tell the difference between FHD and 720p with a screen under 5 inches. 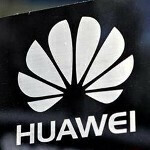 The Huawei Ascend P2 will be one of the new handsets to be unwrapped at MWC in Barcelona. If you want to know what is happening at MWC, keep your eyes right here! The Huawei Ascend D2, the dust and waterproof aluminum phone with 3000mAh battery everybody seem to forgot about is Huawei's 5" fullHD flagship. FullHD at 4,7" is a (battery) overkill. More Android saturation. There phones will sell well overseas, but not in the states. People should stick with HTC, Samsung, Moto, Google Nexus for the best Android experience and timely updates. Guess what, HTC, Samsung and Motorola were Android noobs once and Huawei already demonstrated that it has the means and desire to follow their footsteps. Of Huawei's line-up, I'm looking forward to the octa-core 5" variant coming out later this year. With the power consumption of the announced A15 chipsets and the big batteries Huawei puts in it's 2013 phones, they're likely to come out on top in performance per battery ratio. Especially updates! I got the Huawei Ideos S7 tablet, running Android 2.1 but never received a official update to 2.2 in Europe, altough the device was officially sold in shops. Luckely I found a 2.2 update on a Indonesian forum. The only one ever released for the Ideos S7 though.... My advise is to stay away from any Huawei device!! didnt HTC release the first android phone? hoe are they a noob? He said they were noobs once, not that they are now. They did release the first Android phone, but like any other company releasing their first device for an OS, they were noobs. I will repeat myself from a previous post regarding this outfit: Over-speced amateur spy radio with a horrid track record on support and reliability. Buy at your own risk. The next Samsung and Nokia killer in 3 years . Remember this message . That is yet to be seen, my friend..
keep dreaming, and be happy. "Huawei" translates to "Hot Trash" in the Queen's English.